The Mono M80 Betty Strap is designed with hi-tech, indestructible materials and features a lightweight construction to provide the ultimate playing experience. 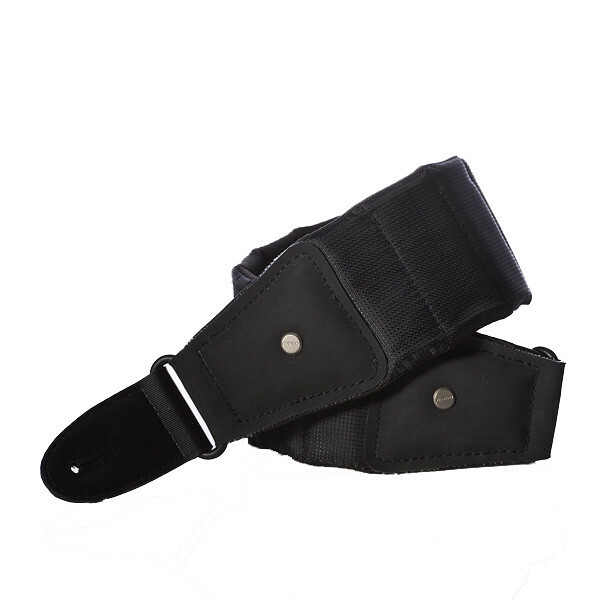 A Neoprene underbelly provides breathability, and the shorter strap allows length adjustment from 40'' to 46''. The Mono M80 Betty features a wide wale design which increases the weight distribution of heavy instruments, and a thin memory-foam core to reduce fatigue during long hours of play. A Neoprene underbelly, the same as that used in wetsuits, provides breathability and slides across your shirt or skin with ease. Hidden pockets are also attached, allowing for easy access storage to picks and other accessories. 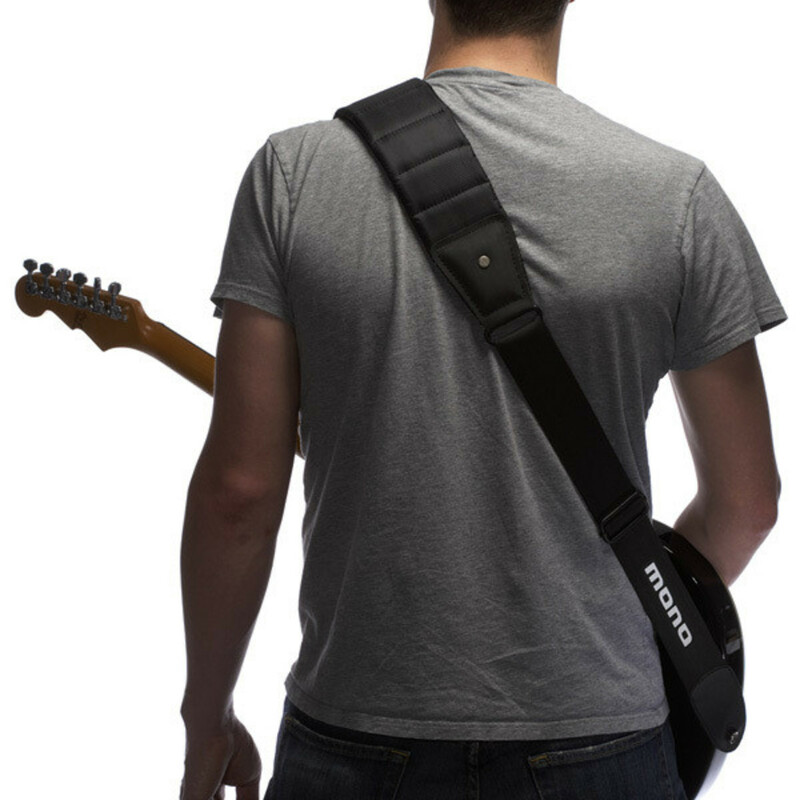 The shorter strap allows length adjustment from 40'' to 46'' and reinforced rubber Hypalon end panels provide a firm grip, holding your guitar safely. Available in waterproof Black with a light sheen, or woven textile Ash with an industrial look. 47''- 59'' length also available. Black: Waterproof with a Light Sheen.